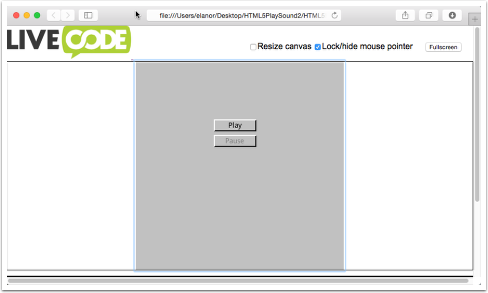 LiveCode LessonsLiveCode LessonsHow To - Step-By-Step Guides To Tasks In LiveCode HTML5How do I play sound files in HTML5? Begin by creating the UI for the stack. 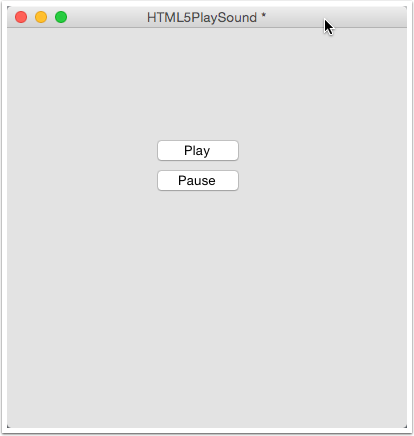 Create a new stack and set the name to "HTML5PlaySound"
Check the platform is "html5"
Build the stack as an HTML5 standalone. Copy the sound file you want to play into the standalone folder. Open the HTML file in an editor and add an audiotag to the <body>. To run the app open the HTML file in a browser and try the Play and Pause buttons.